During last week’s Legion Q&A, Ion “Watcher” Hazzikostas mentioned a number of balance hotfixes would be coming down the pipe this week, but most of those balance changes have been put on hold. The developers have decided it would be premature to make sweeping balance changes before the full breadth of endgame content is available to players, where raids and Mythic+ dungeons will provide a better view of how class balance is shaking out. That said, there are still some nerfs en route, notably to tank damage and the AOE effectiveness of Windwalker Monks and Havoc Demon Hunters. Though Monks and Demon Hunters are still intended to excel at AOE damage, these nerfs are intended to bring them closer to the rest of the pack. Since the expansion launched, aside from fixing bugs, our class and systems teams have been keeping an eye on qualitative class feedback, looking for things that can be addressed via hotfix. We recently increased the default number of Warlock Soul Shards to 3 to decrease their ramp-up time; we also reduced the base cooldown of Arms Warrior Colossus Smash to 30 seconds, to mitigate the worst-case scenario when Tactician failed to reset its cooldown. 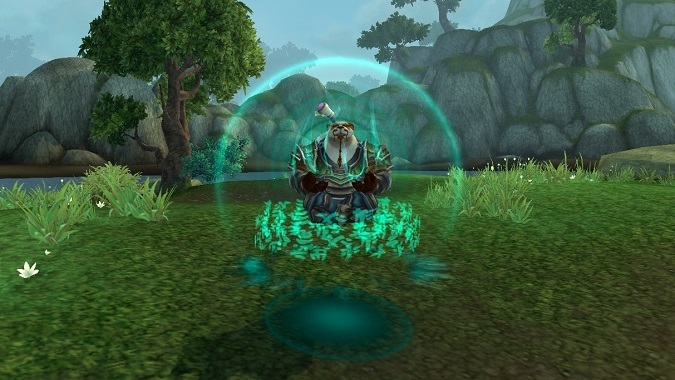 In the Developer Q&A last week, we touched on the general topic of class balance so far in Legion, and suggested that we were looking at making tuning changes via hotfix towards the end of this week. However, after further consideration of available data and the current state of the game, we feel that it’s still premature for a broad tuning pass. World of Warcraft’s endgame consists of a range of activities, including varied raid encounters at different difficulty levels, random matchmade dungeons, Mythic dungeons (both baseline and Keystone-modified), outdoor questing, and of course arenas and battlegrounds (though I’ll be focusing on other gameplay modes in this post, since we can now handle PvP tuning separately). That’s the game that was available in beta, and it’s what our classes are designed and balanced around. But right now, everyone at max level is playing a very narrow slice of that diverse endgame: we are running dungeons, and we’re specifically running them with a focus on efficiency rather than success. Many players have learned the various dungeon encounters, and now zone in with their Heroic or Mythic groups not wondering whether they’ll be able to prevail over the challenges within, but rather how quickly. Unsurprisingly, that places an inordinate value on sustained AoE/cleave damage, and especially on-demand burst against the groups of four or five targets that comprise most enemy packs in dungeons, and so those specs that excel in those areas seem elevated above the rest. But in a couple of weeks, when we talk about balance, major considerations will include things like meeting the single-target DPS check on Ursoc or handling the spread-out tentacles of Il’gynoth in the Emerald Nightmare, or making sure that your group can reliably interrupt Odyn’s Stormforged Obliterator in Halls of Valor, while running away from Radiant Tempest, so that he doesn’t derail your Mythic Keystone run entirely. Until we can see data from the endgame in its entirety, we can’t make informed decisions about which numbers need adjusting, and by how much. Therefore, at this point we’re aiming to hold off on a broad pass of tuning hotfixes until the end of the first week of raiding and Mythic Keystone dungeons. In the meantime, we are looking at a couple of targeted changes to address some clear outliers: in the near future, we’re planning on deploying hotfixes that reduce tank damage output across the board (tanks should be very sturdy and effective at killing things, but too often their damage output rivals that of pure damage dealers), as well as reducing the AoE burst damage capabilities of Windwalker monks (mainly Strike of the Windlord’s area component) and Havoc Demon Hunters (mainly Fel Barrage). Those specializations will still excel in that area, but will not be so clearly dominant over their peers. In the long run, our tuning goal is simply for everyone to feel that they can play the class and specialization they prefer. There will of course be areas of strength and weakness, and some specs will thrive in certain situations while lagging behind in others, but those gaps should not preclude viability. We’ll continue to look at available data and player feedback and make adjustments until that is the case, but that process will not begin until next week. Thank you for your patience.